Is has been since ages that jewellery has been a women’s Best friend. Only the styles jab changed. Earlier we had jewellery made of beads, shells, simple gold design and so on. Now 13th scenario is very different. Each women has a vivid idea of fashion. Especially when it comes to jewellery, each one has a specific preference of creation. There are some who are brand centric while there are others who buy jewellery on the basis of choice. Young college girls prefer trendy and street style jewellery which complimenta their dynamic and youthfulness. Gold jewellery will never go out of fashion for obvious reasons. Designs have become contemporary and modern. You have collection inspired by cultures and other country styles as well. Bridal Jewellery – This is every women’s favourite one. Bridal Jewellery enhances the beauty of the bride on her special day. Bride’s buy jewellery which suits their outfit and the occasion. Recently, bridal jewellery has come up with various options in style and make. Kundan jewellery, Pearl jewellery, Meenakari jewellery, Jadau jewellery, Gold jewellery and off course the most desired Diamond jewellery. Row gold is being loved by one and all. Top brands like TBZ has exceptional collection of bridal jewellery which leaves a mesmerizing effect for sure!! 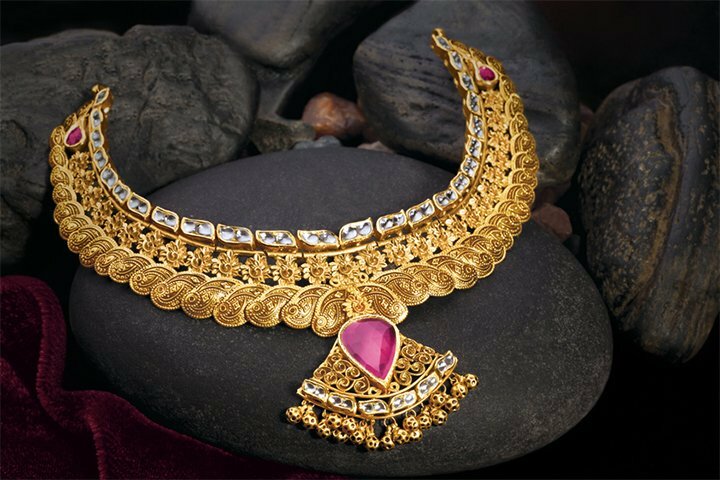 Antique Jewellery – Known for being treasured for ages and years, antique jewellery has succeeded in making a place in the hearts of millions again in This modern era. Whether it is a ring, necklace or a bracelet. All of them have that touch of a world class design in them. Antique Jewellery looks a little dull but has a very high value. Fashion Jewellery – Preferred by the younger generation, this type of jewellery is here to stay. This mainly includes metal and stone jewellery which is inspired by modern designs. Charm bracelets is an ideal example of fashion jewellery. This jewellery type is colourful and vibrant.It keeps changing as per the trends. Handmade Jewellery – This type of jewellery is made by craftsmen and is gaining popularity in the recent times. Bead Jewellery – Rings, Bracelets and neck pieces made of colourful beads attract many. This type of jewellery caters to the kids also. Women can opt for the type of jewellery which personifies their style statement. You also have the option of ordering custom jewellery. Here you get the opportunity to decide the make and characteristics of the jewellery. Rings are often made to order. Women prefer buying jewellery from trusted and reliable source. Hallmark gold jewellery is the best option to consider. Online shopping sites like voylaa and bluestone have great collection of jewellery both traditional and modern. The jewellery is branded and many a times they have sale and offers. You can order it online from the comfort of your home. But not all women prefer online jewellery shopping. There is a question of quality they worry about and therefore choose the jewellery shop for the purpose.